Are you tired of waking up or going through your day with a sore throat, dry nose, dry eyes, and dehydrated skin? FINALLY, the best solution! 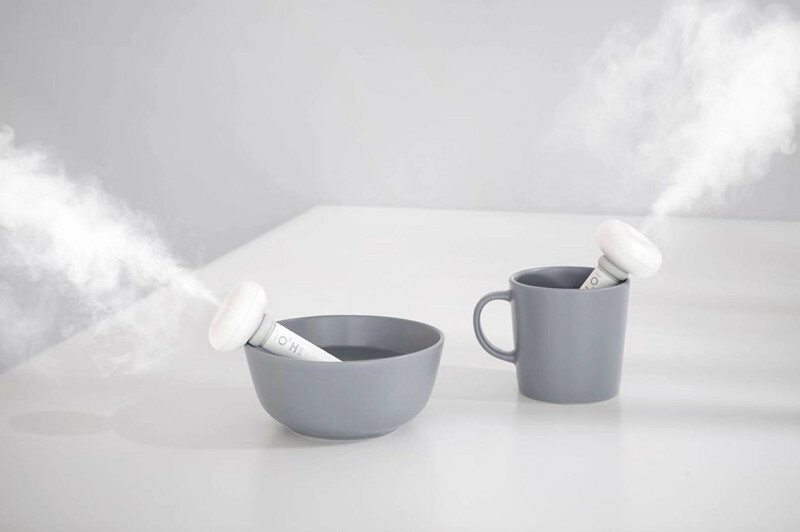 The Portable USB Humidifier creates a humid environment around you that is perfect for home and travel use! place it next to your bed, in a vehicle, an office, or anywhere else! 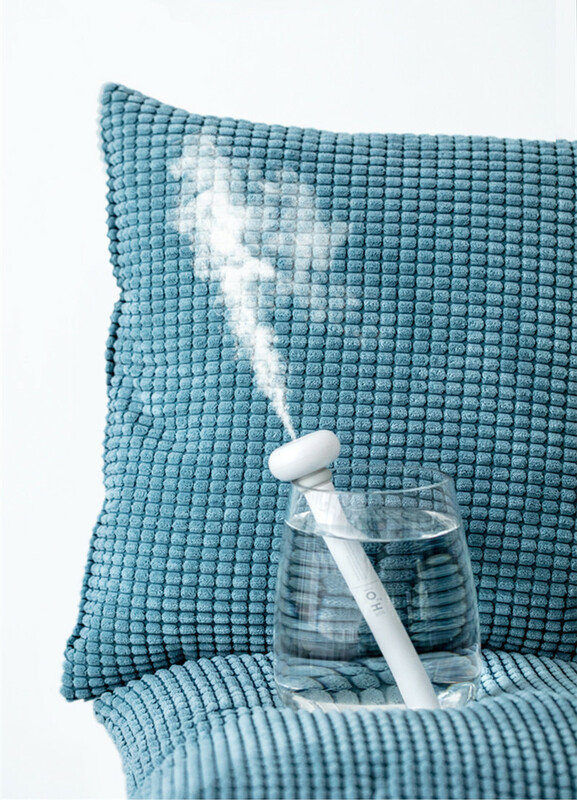 The Portable USB Humidifier will make sure your skin and respiratory track stay hydrated so you can wake up and operate to your full potential. It is lightweight, completely portable and works with absolutely any container. 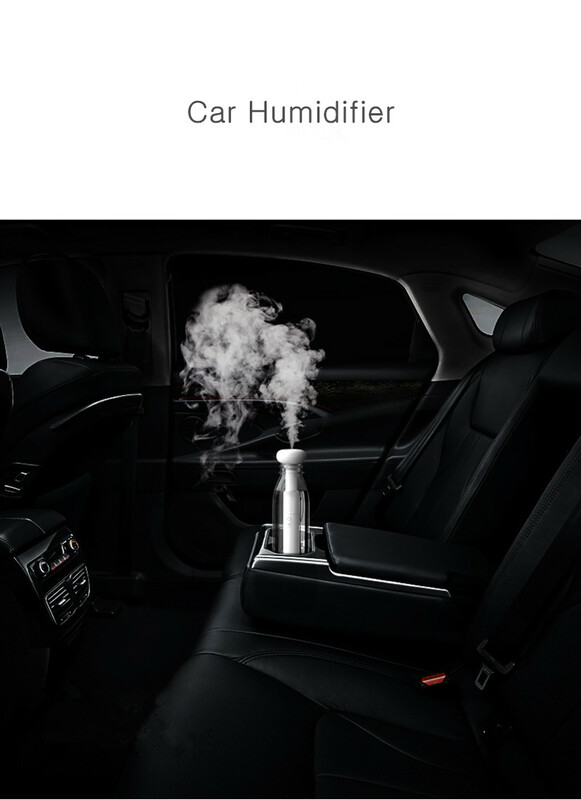 Water bottles, coffee mugs, bowls or whatever you have handy instantly becomes the base of the humidifier. Use it in the car, at home, while traveling, or at the office. 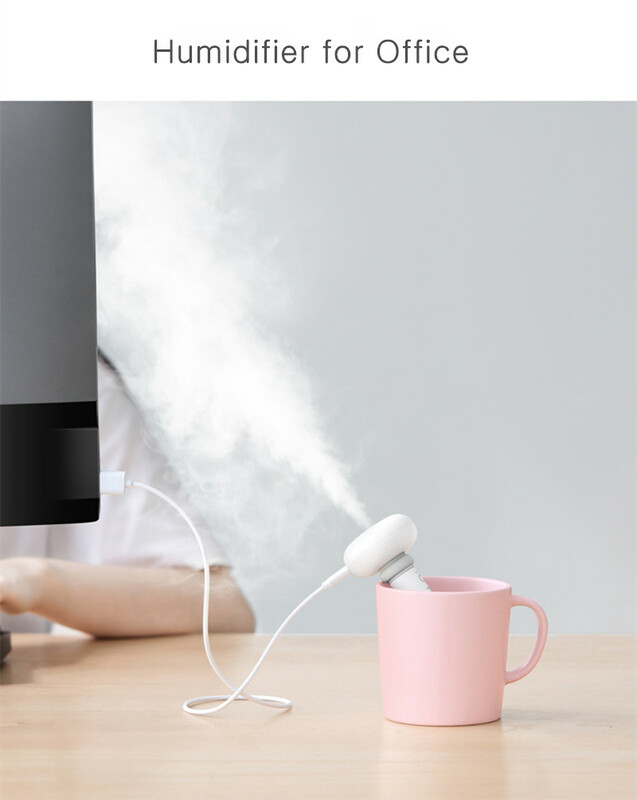 The Portable USB Humidifier is especially helpful in cold climates. Cold/dry air during winter can really dry a person out. Dry skin can lead to chapped lips, nose bleeds, rashes, and an increased chance for catching colds. It is perfect for the bedroom, office, car, hotel, tent, or even on flights! 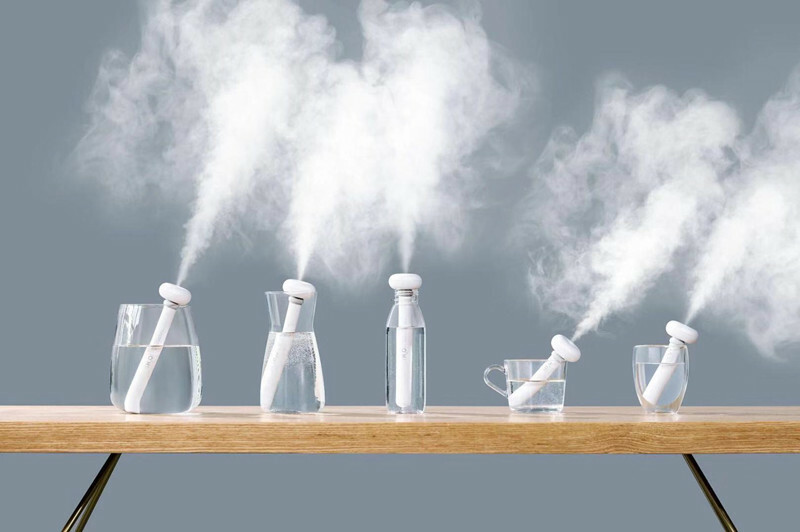 This humidifier suits any container: it can be used by the mineral water bottle, cups, and mugs. It is environmental and convenient! The tubes at the bottom can be split and assembled to meet the humidification requirements of different environments and different bottles. 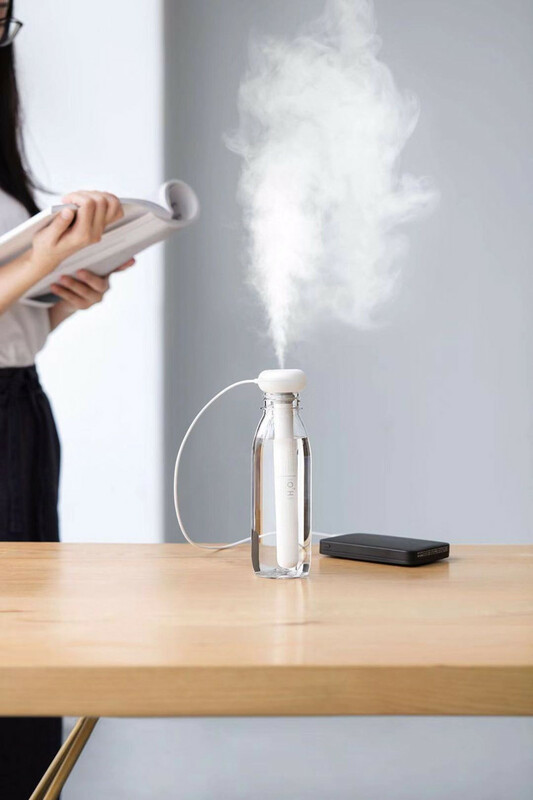 Portable Small Size: Small, Pretty and Lightweight, the humidifier can be taken anywhere with the included USB cable. Safe Automatic Shut-off: The humidifier will be shut-off when the water bottle empty, no worry while sleeping. 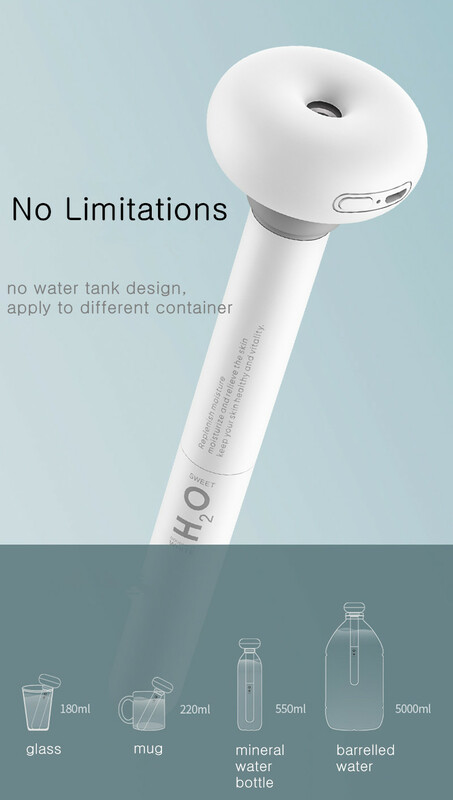 Suit for Any Container: The humidifier can be used in a mineral water bottle, environmental and convenient. 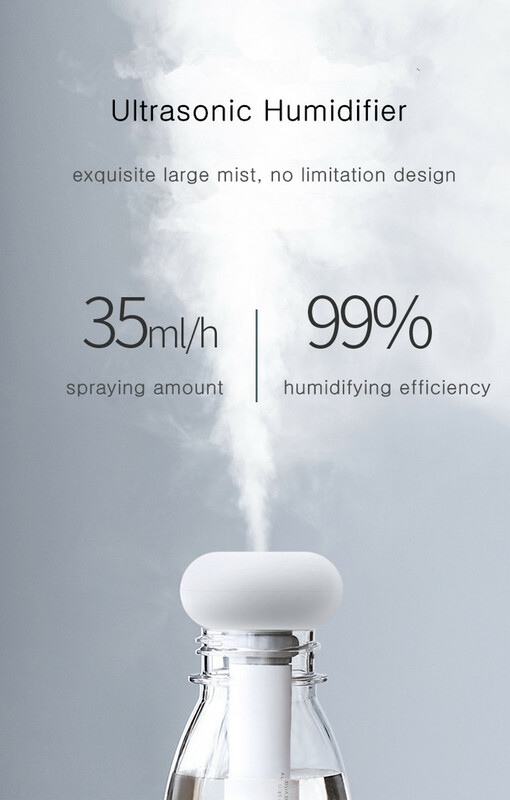 Silent Design: Offers humid mist and quiet operation which guarantees not to disturb you through work or rest. Easy Use and Fashion Look: The modern, simplistic slim design looks lovely and fashion. 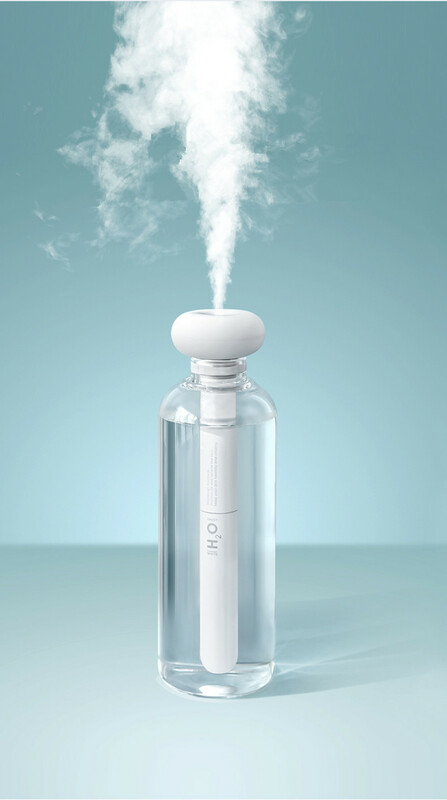 For a bottle of 500 ml of water, this humidifier can be used for about 9 to 10 hours. Skin Care: Dry skin is one of the main causes of wrinkles, and it often seems unavoidable in dry environments. Use this humidifier to change that; add as much moisture to your air as you want, and keep your skin well-moisturized.